Lenape Pizza in Pocopson would like to start selling beer, but neighbors oppose the idea. 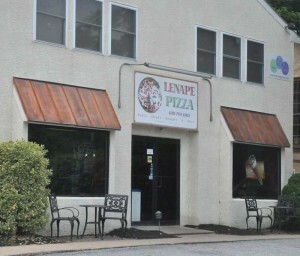 POCOPSON — Pizza and beer might seem like a natural combination, but neighbors of Lenape Pizza are telling township supervisors “no” when it comes to having beer sales at a township pizzeria. 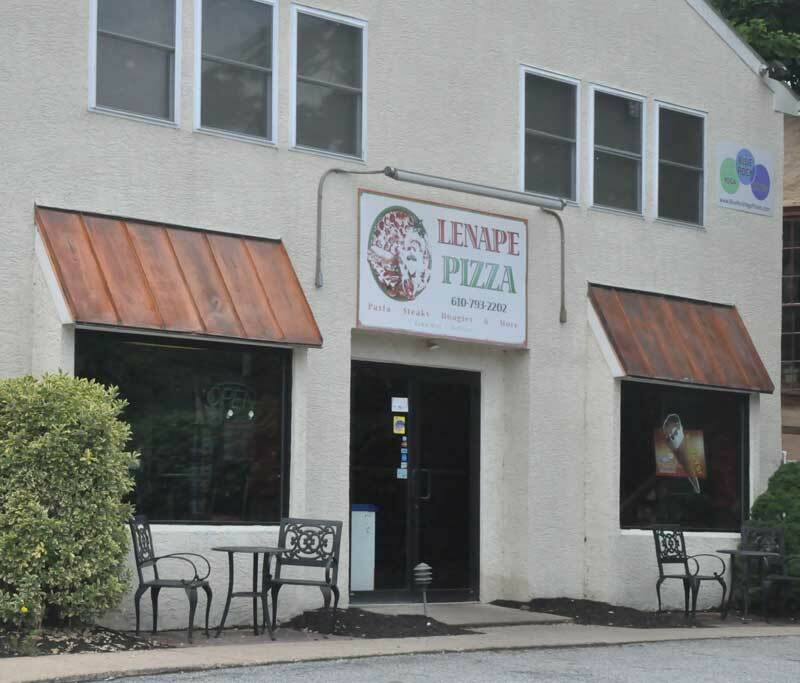 Monday night, the township’s board of Supervisors held a special hearing to consider an application to transfer a “Type E” license — one that allows the sale of beer and malt beverages — to Lenape Pizza. About a dozen residents attended to protest the transfer. The Board of Supervisors opted to further deliberate before deciding whether to approve the transfer — and are expected to announce a decision on the license transfer at its June 13 meeting. According to Jefim Faktor, a partner in ZFG, Inc. the company that owns the eatery, they plan to expand seating, which he says is currently 24, to the minimum required by the state Liquor Control Board, 30, by reworking the layout and adding some counter seating. That issue — and the amount of available parking and how much sewer capacity is available to the establishment — seemed to be the primary concerns of the supervisors in approving the transfer. ZFG’s attorney, Holly Setzler, suggested that those were issues best handled during the process of getting a new certificate of occupancy for the pizzeria, rather than trying to tie them to the license transfer. “If we don’t meet the criteria, my clients won’t be buying the license,” she said. Faktor said the hope is to grow the business, which has operated there for six years (and was previously the site of The Bistro, also a pizzeria) and better serve local customers. While he said about 80% of his business is delivery, Faktor said, in accordance with LCB rules, no beer will be available for delivery. Supervisors also wanted to make sure that the hours of operation would not be expanded beyond the current hours, with the operation open no later than 10 p.m. Still, neighbors were not swayed, bringing a petition with approximately 80 signatures opposing the license transfer. Some expressed concerns about attracting under-age drinking, with no enforcement options beyond the State Police, while others noted there were existing problems with vehicles illegally parking along Denton Hollow Road. Supervisor Lauressa McNemar asked how the owners will handle things if drinking on premise or in the parking lot becomes a nuisance. Faktor said he would call 911 and noted that he and his partners have a good relationship with the neighboring Birmingham Township police and State Police. Both Birmingham and State Police cars can often be seen in the parking lot of the establishment during lunch hours, as officers often eat there. Faktor said he would also be improving his security system, adding cameras and a direct link to local police. Parking was questioned, as the additional seating requirements mean more parking must be created as well. Faktor said that the landlord of the property planned to add parking behind the building, which would be used for employees of the businesses in the complex, which include an insurance office and a dental office. With that and by the addition of extra spaces in front, Faktor said they should be able to meet the requirements on parking. Faktor said this was the first he was hearing of the complaint, but suggested a “no parking” sign could be put up — although the township has no way to enforce parking violations, as State Police are not permitted to write tickets on local ordinances. Other residents expressed worries about minors potentially buying beer. Faktor said that he would comply with LCB rules and not allow any minors on the premises without an adult. Pizza and cold beer sounds great! We love Lenape Pizza. They provide a great service to our community and their fairly priced food is excellent. I strongly support the reasonable expansion of lenape Pizza to include approving the application for a license to sell cold beer with their delicious pizza. Lenape sells 80-100 pizzas and makes about 20 home deliveries a day. 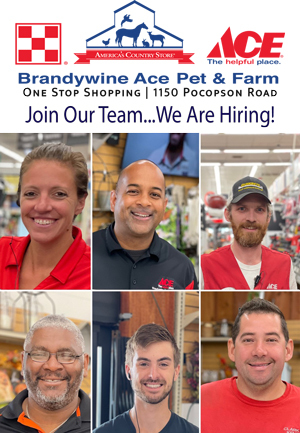 This business employs 6-8 workers and is owned by 3 naturalized American citizens who immigrated form the Ukraine about 15 years ago to pursue their American dream. The owners live nearby in Chester County and are mortgaging the equity in their homes to purchase this expensive beer license, and will be very diligent to follow all LCB rules. There will be no kegged-beer for those who guzzle pitchers, only bottled-beer sold to properly identified adults (21 or older). With 25+ parking spaces, this rarely-filled parking lot is plenty big to support this small business. As far a large trucks blocking Denton Hollow road, these incidents are anecdotal exaggerations and have no relation to the Lenape Pizza’s application for a beer license, but instead is an indictment as to how good their food is. For the residents who want to do something useful, a proper counter-measure to illegally parked commercial vehicles on any of our roads in Pocopson township is to call the company telephone number pasted on the truck’s door and irrately demand an explanation as to why their trucks are causing serious safety hazards for which they are liable (emailing an iPone photo to them works well too). But seriously, to my understanding of the LCB rules there are limited criteria under which the township can reject the license transfer. Local policing ability isn’t one of them, otherwise there would be no licenses in neighboring Chadds Ford or Concord, both of which have many, many licenses and no local police. The questions seem to center on whether Lenape Pizza meets the LCB criteria — specifically the 30 seats required. Having not seen formal plans, I can’t speak to that, but if the applicant can show the ability to meet all of the criteria — within township zoning ordinances — it would be difficult for the supervisors to reject the transfer without exposing the township to legal liability. It is similar to land development rights: as much as the twp. might have preferred to not have Riverside built, it could not legally constrain it as long as it complied with zoning ordinances. The township has somewhat broader ability to limit the issuance of a certificate of occupancy if the parking, sewage, security and seating issues aren’t addressed. Without a CO, the Type E LCB license would be useless, a point made by the applicant’s attorney during the hearing. Mike, you are 100% correct. The denial can’t be arbitrary and the township probably doesn’t have a legal reason to deny it. Also, the record is now closed. It appears as though the most difficult aspect of this will be the company complying with the LCB regulations. However, I don’t think they would have initiated this whole process if they couldn’t overcome that hurdle. Anyway, time will tell us the outcome of this situation one way or the other. Mike, thanks for being fair and balanced. The idea of this establishment obtaining a license to sell beer should not be all that complicated. While I am not a “big drinker”, the idea of purchasing a six pack and a pepperoni pizza does sound appetizing. There are also a number of security measures that may be utilized to ensure that this business does not promote or participate in the underage purchasing and consumption of alcoholic beverages. The family that owns this business is trying to live the American dream just like the rest of us. And as long as they follow the rules, then they can’t on me for their support. I was present at the meeting and spoke out against the transfer. Thanks for the quality reporting of the meeting. This transfer is more than that property and the surrounding area can handle. We don’t have a local police force. I am sure that the State Police will be great at enforcing the on-site LCB rules The risk is the drinking on the roads, in the wooded residential lots and the parkeing lots around the pizzeria – that is local law enforcement responsibility. Given that we do not have a police force in Pocopson – our Supervisors should not approve this transfer. The Bureau of Liquor Control Enforcement is an arm of the PSP, and they will investigate allegations that are made against an alcoholic beverage retailer. Also, kids already drink in the woods. What concerns me is that people are making allegations against this business establishment that haven’t even happened. Everyone is ok with things like this except in their neighborhood.